You already know the deal—each season of Worcester Restaurant Week, nearly 40 of Worcester’s top eateries create special three-course menus priced at just $25.17. While this is a great meal deal across the board, sometimes you experience a restaurant that goes beyond expectations to give you the most bang for your buck. El Basha is one of those restaurants. If you’re not familiar with El Basha’s Park Ave location, picture subtle elegance: a beautiful bar, spritely service, cozy lighting. Class. Fortunately, the excellence wasn’t just surface deep, and continued to impress throughout the entirety of the dining experience. 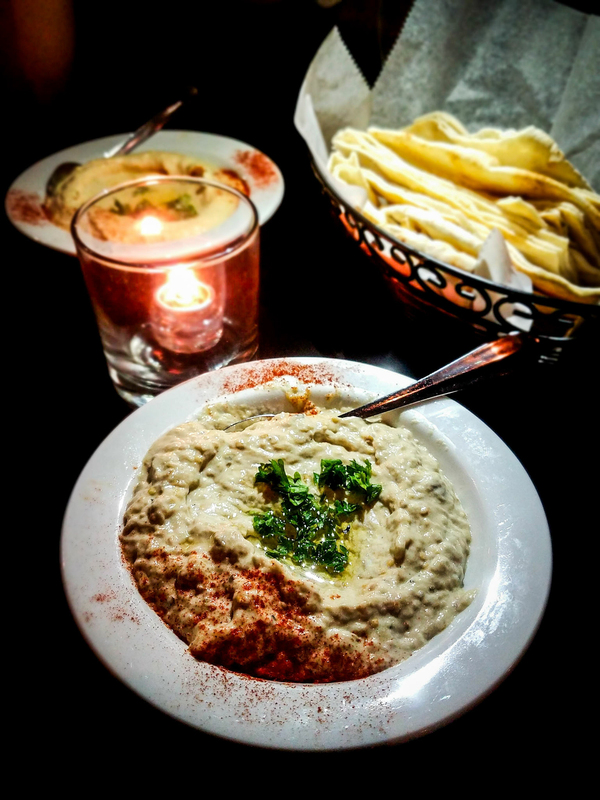 El Basha’s WRW deal allows you to start with any dish from the Mezzeh menu; anything from homemade spinach pie to stuffed grape leaves or tuna tartare. My friend and I settled on the house made homus and baba ghanouj, which were both exceptionally fresh and rich with tahini. Each were served with a heaping pile of warm, chewy pita. This is where the Restaurant Week deal makes you feel like a bandit. The entrée course is a choice of either the Seafood or Ka-Bob Mixed Grill, each normally $22 off the daily menu. The ka-bob plate came with grilled chicken, shish, and generous portions of delightfully spiced kafta. The seafood plate had not only entire swordfish and salmon steaks, but also a pile of perfectly grilled jumbo shrimp. Both plates included grilled vegetables and rice pilaf. 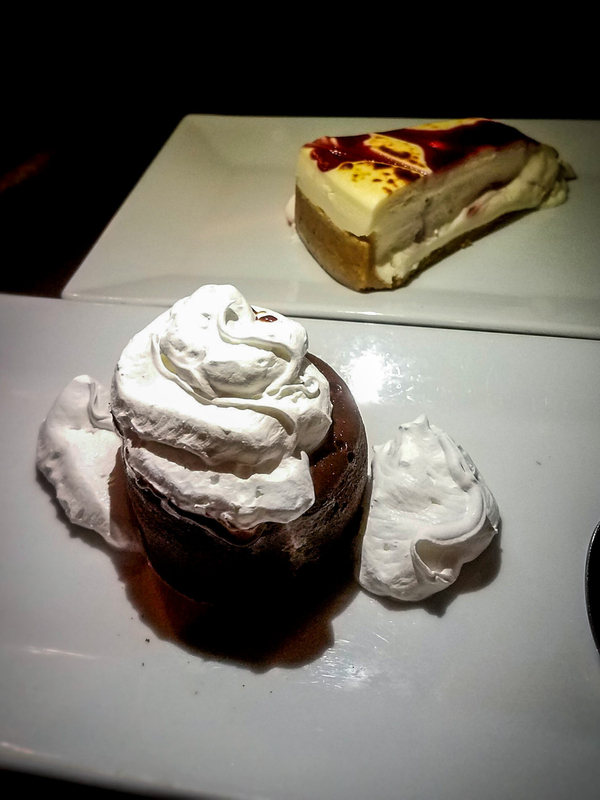 We went with the chocolate lava cake and a slice of raspberry-topped cheesecake: both straightforward and well prepared (though impossible to finish after the generous portions of the previous courses). There are only so many nights out over the course of Worcester Restaurant Week, and the decision of where to spend your evening can be agonizing. 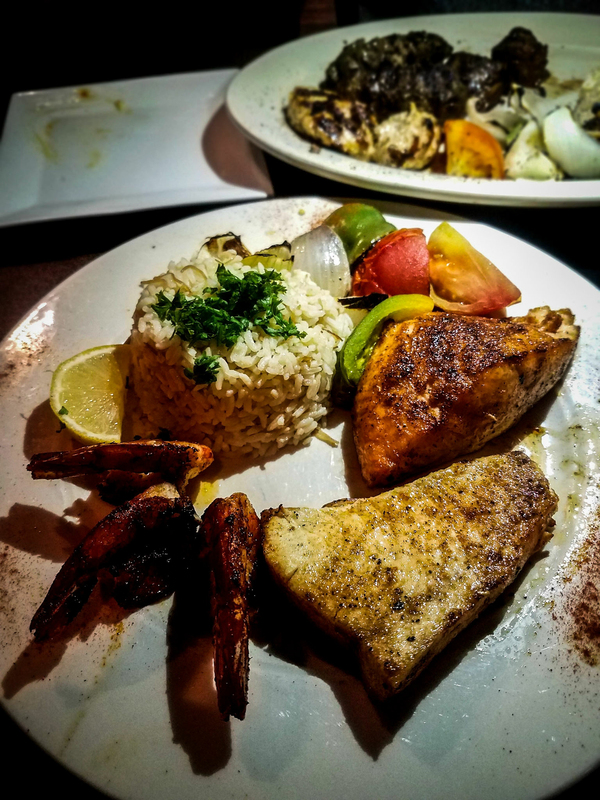 If you want a fail-safe dining experience, look no further than El Basha.